to future owners and McLaren customers at a private event in London. 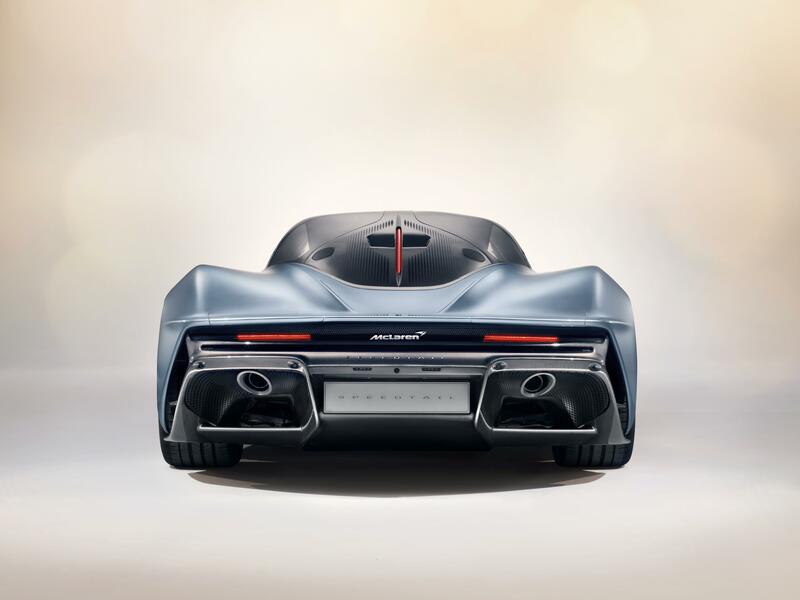 The McLaren Speedtail is the first Hyper-GT from the British company. Fast? 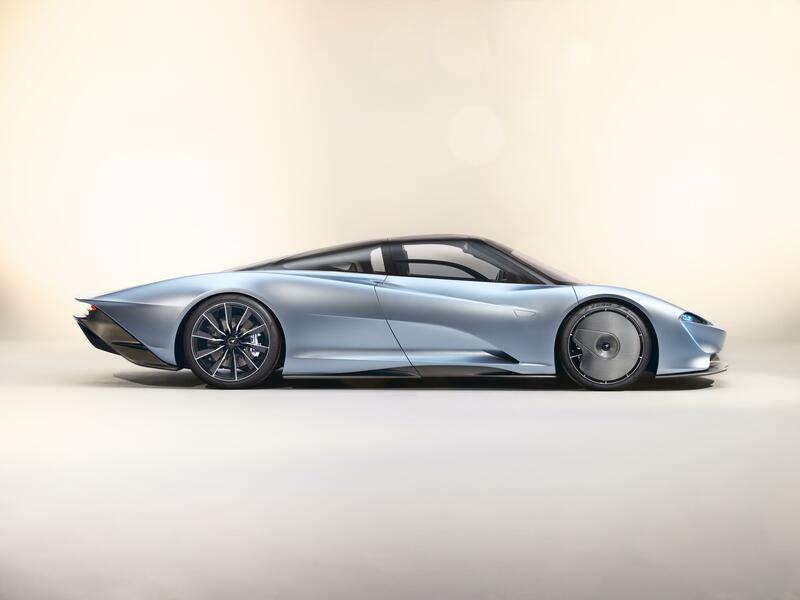 The straight-line acceleration of the Speedtail sets a new benchmark for a McLaren, with 0-186mph achieved in just 12.8 seconds and tops out at 250 mph courtesy a gas-electric hybrid powertrain delivering a combined 1,035bhp. 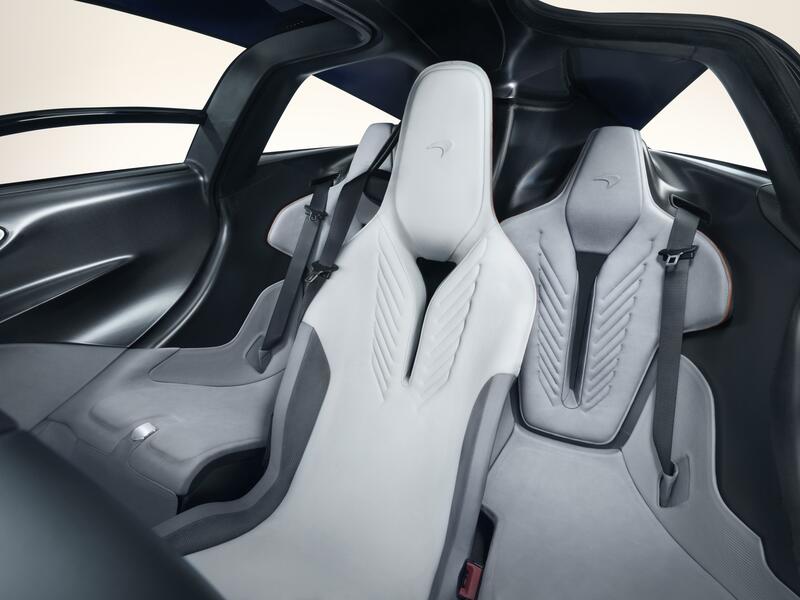 McLaren Automotive’s previous Ultimate Series hybrid, the McLaren P1™, could reach this speed in 16.5 seconds. Door mirrors are notably absent. 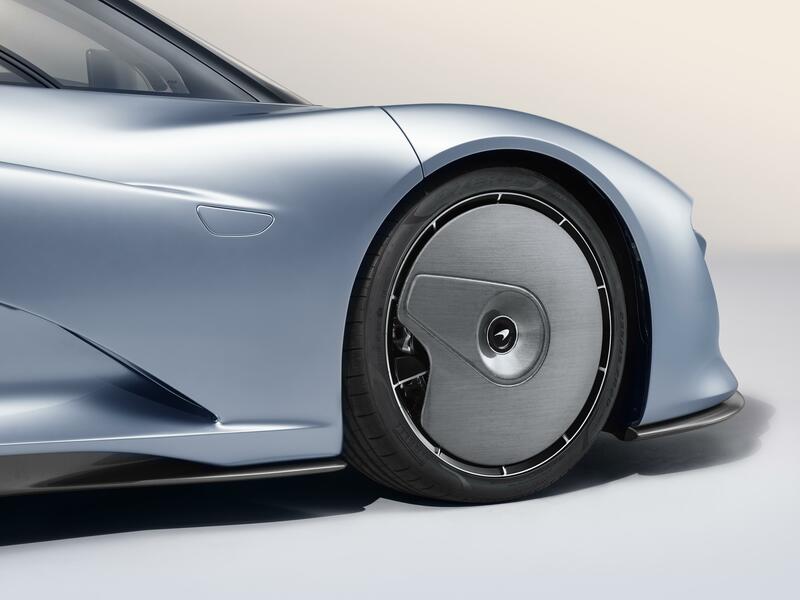 the McLaren Speedtail instead featuring two discreet, high-definition digital cameras that glide out of the doors when the vehicle ignition is activated. providing a much wider field of view of the road behind. 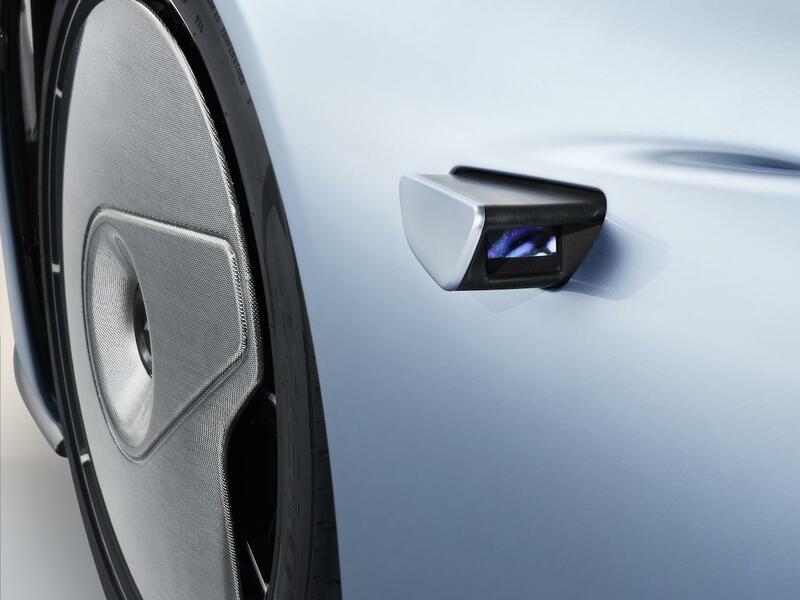 When Velocity mode is selected, the cameras retract into the doors, reducing drag further still. Other cool stuff; advanced electrochromic glass darkens top of the windscreen at the touch of a button, removing the need for sunvisors. Just 106 will be created (106 examples of the McLaren F1 were sold) and all are already reserved, at a price of about $2.5 million plus taxes.